CASRDIFF, WALES - A sea wall could be built to protect hundreds of homes, businesses and a travellers' site from flooding. Cardiff Council is hoping to build the 2,000m long structure along the coastline near Rover Way, Tremorfa. It had initially been planning to install a wall of boulders - known as rock armour - along the coastline. But the authority is now looking to make the wall out of steel sheeting for the scheme - which has an estimated cost of £11m. 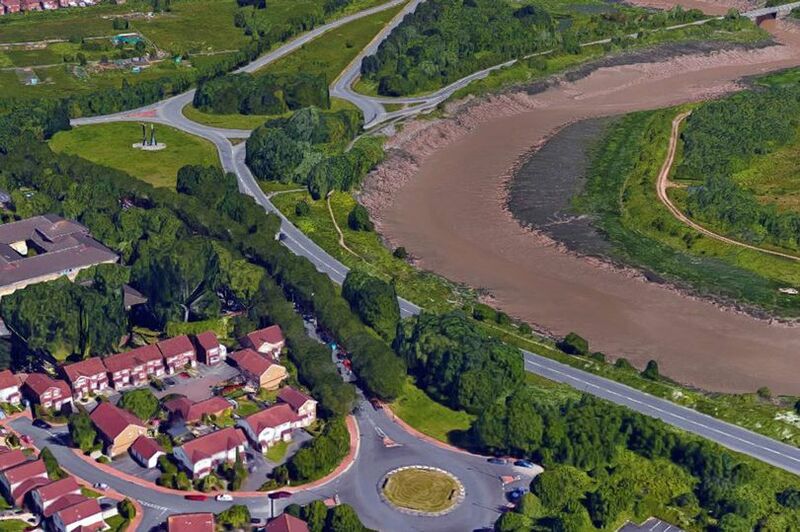 Officials said it would prevent ongoing erosion and reduce the flood risk to around 250 homes and businesses in Tremorfa and surrounding areas. The wall would also offer protection for the nearby Tesco supermarket, the Rover Way gypsy and travellers site as well as the Tremorfa Industrial Estate. Councillor Michael Michael, cabinet member for the environment, said: "For that area of the city it's vital. All the evidence we have on climate change is that it's making a difference. "If we don't do anything that part of the city will end up in serious trouble and we have to prevent this from happening."